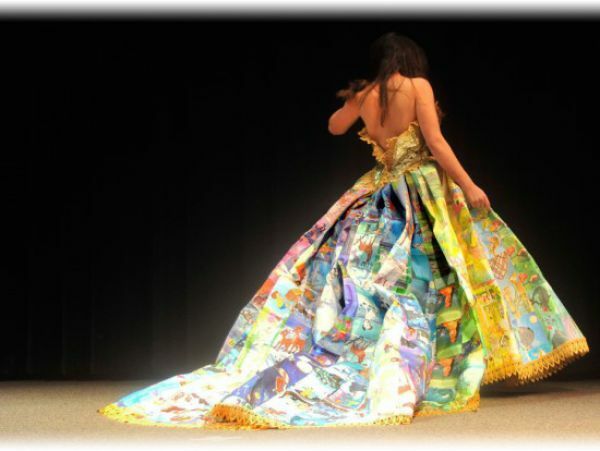 Amazingly this dress is created from the discarded pages of little Golden Books. 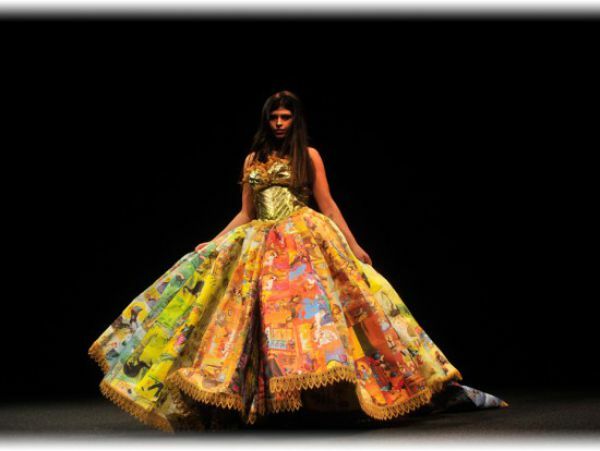 The dress is 22,000 square feet of material, well books and even designer Tommy Hilfiger thought it was an amazing creation. Learn Something Fun: Golden Books claims that a billion and a half Little Golden Books had been sold. i would like to read her..